A selection of 256 royal and aristocratic heirlooms at Sotheby’s in London on January 17 is spearheaded by 79 objects celebrating Lord Horatio Nelson. 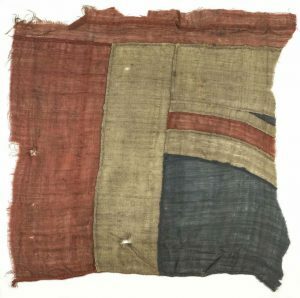 The “Of Royal and Noble Descent” sale will include a large fragment of the Union Jack believed to have flown from HMS Victory at the battle of Trafalgar. It is estimated at £80,000-100,000. Nelson’s grog chest with its carefully cased set of fine decanters kept in his cabin at sea has an estimate of £35,000-45,000. Love letters from Nelson to his mistress Lady Hamilton shed light on a liaison that scandalised England in the 18th century. Nelson’s victory at the battle of Trafalgar confirmed Britain’s naval supremacy for the next hundred years. His Nelson’s legend is increased by his death at the very moment of his greatest triumph – shot down in the heat of battle, in the midst of his men, leading from the front. The sale offers furniture, paintings, decorative arts and precious objects from European dynasties and historical figures, including the Duchesse du Berry, the House of Bourbon and a number of German princely families. This entry was posted on Sunday, January 7th, 2018 at 12:16 pm	and is filed under AUCTIONS, COLLECTIBLES. You can follow any responses to this entry through the RSS 2.0 feed. You can leave a response, or trackback from your own site.